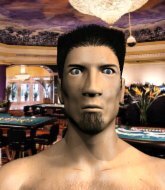 Leon has Competent boxing, Mediocre Muay Thai, Exceptional wrestling and holds a purple belt in Brazilian Jiu Jitsu. 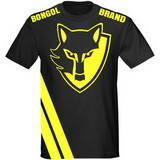 2019-03-29- received BONGOL Wolf Shirt from manager. 2019-02-27- Leon Osman celebrated his birthday - 21 today! 2018-12-04- received Venum White Short from manager. 2018-12-04- received BONGOL Wolf Shirt from manager. 2018-12-04- Leon Osman celebrated his birthday - 20 today! 2018-09-10- Leon Osman celebrated his birthday - 19 today! 2018-08-19- received Velo BG S from manager. 2018-08-19- received Black Samurai T-Shirt from manager.